To optimize the design and operations of advanced water treatment facilities the Bureau of Reclamation completed a prize competition and has selected five submissions to share $80,000 in prizes in the Pathogen Monitoring Stage 1 Challenge, with half of the prize purse contributed by Xylem, Inc. The team of Hannah Safford and Heather Bischel, both of Davis, California, was selected to receive the top prize of $40,000 in this competition. The demand for water is growing throughout the western United States and one of the ways the demand is being met is through water reuse, a method where wastewater is treated to be used again by the community. While advanced water treatment technologies exist to produce high quality, potable water from wastewater, improved pathogen detection and monitoring is needed. Safford and Bischel’s idea used novel computational tools for quantifying waterborne viruses detected through flow cytometry. Their concept incorporates advanced data processing techniques to assist in the underlying signal to noise ratio problems that have prevented the use of this technology in the identification of viruses to this point. 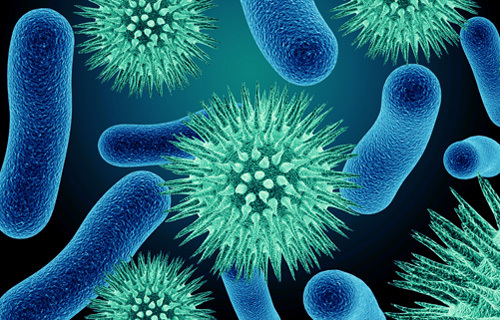 The proposed computational tool will use cluster analysis and diffusion mapping to facilitate rapid quantification of viruses in raw or treated wastewater. In addition to the winning solution, another solver received a $10,000 prize for an idea that adapts an approach that is used clinically to identify pathogens in human patient specimens to detect viruses in wastewater. Other winners in the prize competition each received $10,000. James Vickers of Separation Processes Inc., Carlsbad, California, for his idea use of automated conductivity profiles to verify reverse osmosis unit integrity in full-scale recycled water treatment facilities. John Newport, Chadds Ford, Pennsylvania, for his idea using microcapsules with external antibodies and internal nanomagnets and reporter molecules to quantify viruses in wastewater. David Wick, Stevensville, Montana, for his idea of identifying and quantifying viruses in raw and treated wastewater by sorting viruses by mass/charge ratio and quantifying them according to size. The Bureau of Reclamation in partnership with Xylem, Inc., a global water technology provider and leader in digital water, The Water Research Foundation, and the Environmental Protection Agency sought ideas for the development of a rapid, accurate and preferably online/onsite monitoring techniques for various pathogens at advanced water treatment facilities. To learn more about this and other prize competitions at Reclamation, please visit Reclamation's Water Prize Competition Center at: http://www.usbr.gov/research/challenges.